Recommended first by sister Dorothy. New to me this year. One of my favorites is In the Bleak Midwinter, a piece that James Taylor also does very well. I know you are very, very busy. You should be wrapping gifts instead of reading blogs. May I tell you a story? Why this song means so very much to me? It is a family story that I only know from the telling, because, sadly, I was not present. Twenty-one years ago, my father received a diagnosis of pancreatic cancer from Mayo Clinic on Christmas Eve. The following weekend, those of my siblings who could, gathered at my dad’s place in Dubuque. That Sunday Dan sang In The Bleak Midwinter at the chapel. A Capella. He’s a professional, my brother. But when he came to the last verse, (What shall I bring him, poor as I am?) he broke down and wept. Unable to continue. My father walked up to him, put his arms around him, and held him. No words. So this piece, which has a mournful tone already (and that is not a criticism), always takes me to that Sunday, to a sad family, a very brave brother, and a father who was a father in a most public act of comforting his son; to my Father who gave His Son, to his mother who worshiped him with a kiss, and mostly to the poverty of the writer who offers what she can give–her heart. Snippet of James Taylor singing it (scroll down). 30 seconds of Liz Story playing it. This entry was posted in Uncategorized and tagged christmas, family, music by alivingpencil. Bookmark the permalink. So beautiful! I have heard this piece, but I didn’t know that the words, the original poem was written by Christina Rossetti, a poet whose works I do enjoy reading for their depth and passion. And truly, a beautiful family story. Thank you for sharing, Carol. That’s a beautiful memory to have of your father- and your brother. A personal favorite of mine as well since it is the first carol my four daughters learned to sing as a quartet, when they were 12, 10, 9, and 7. Another one that tears me up every time…It is Well with My Soul. A lovely CD. Krista and I were given a copy several years ago by a relative, so now we are sharing it back and forth for the season. Is there any place online I could go to ‘hear’ that carol? I have tears in my eyes, too, reading your story. I’m heading over to Amazon.com to order this CD. It’s still my favorite Christmas carol and still can be hard to sing, depending on the situation. You’re story makes the piece even lovelier. And exquisite is most definitely the right word for the album. It is one of my favorites. I haven’t bought the Liz Story CD yet but it is one of my favorite Pandora channels now. That Gloucester Cathedral clip is in my faves youtube folder. undoes me every time… what a glorious story. just home from a massive roadtrip to South Carolina – will be blogging tonight, i hope. It’s also chaotic blizzard central here so we’ve got to batten down the hatches. When we left it was WARM and SUNNY! A late winter arrival here in the Boo.Love you. Miss you. Just…. someday. 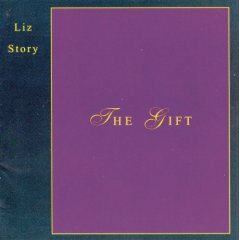 I purchased the Liz Story album last Christmas, thanks to your recommendation—and I love it! What a touching connection you have with the Bleak Midwinter song. So amazing how music can be both sad and healing at the same time. Blessings of the season to you, Carol. An excellent video of a wonderful carol. Many thanks :)To save me going to another post about lyric confusion, you may know the children’s chorus by Philip Bliss:Dare to be a Daniel,Dare to stand alone!Dare to have a purpose fine!Dare to make it known.My dear mother thought the third line was “Dare to have a purple spine” and wondered why that would be a noble ambition….